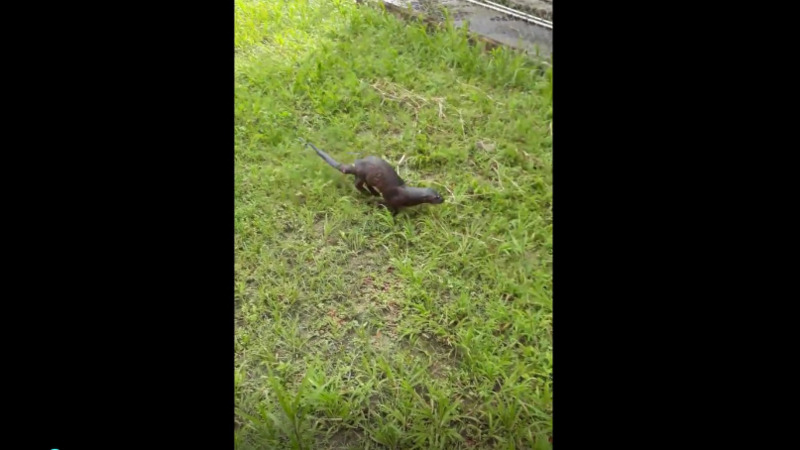 Recent rainy weather has succeeded in drawing out more than a few wild creatures, however, the sheer size of one slithery serpent amazed some Trinis after the video went viral online earlier this week. 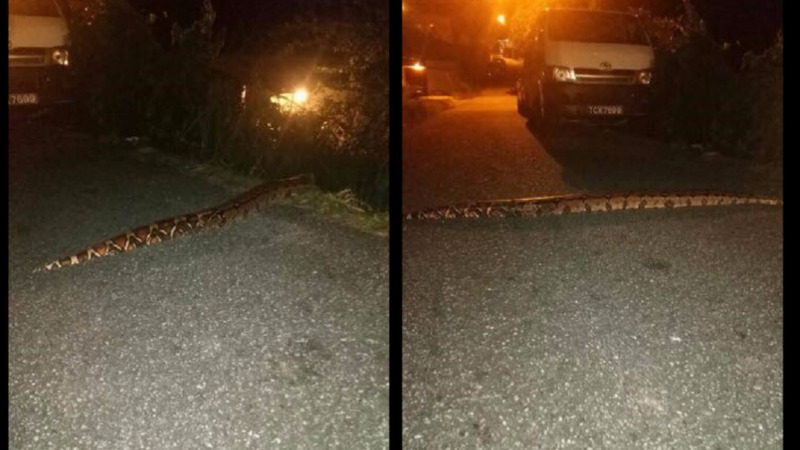 Video footage of the snake, which was said to have been spotted on Hololo Mountain Road, St Anns was shared on Monday to Facebook. 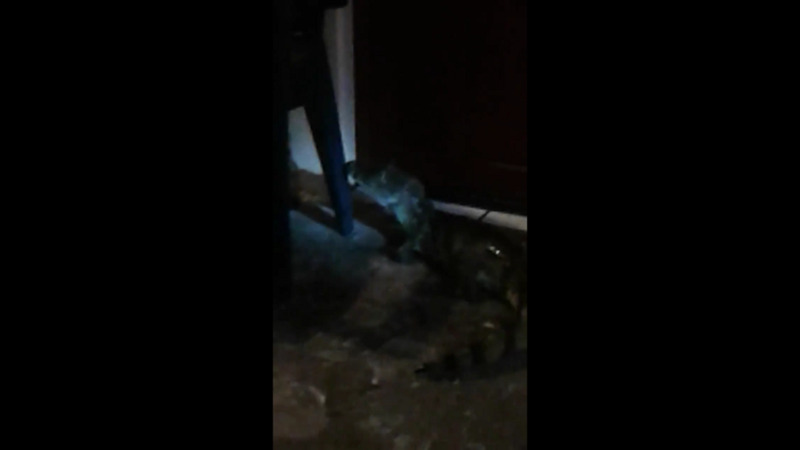 The huge creature was seen slowly making its way across the road as it appeared to avoid its human observers. Head of the Wildlife and Environmental Protection of Trinidad and Tobago (WEPTT), Kristopher Rattansingh, said to LoopTT that the snake is most likely a boa constrictor, also known as a macajuel, and is non-venomous. "The Macajuel or Boa constrictor or Red tail boa is a very famous snake on the islands of Trinidad and Tobago. There are many folklores and stories about these snakes that make them seem much more dangerous than they actually are. "The Macajuel or Boa constrictor (Boa constrictor) is the second largest species of snake which can be found in Trinidad and it is the largest that can be found in Tobago," Rattansingh said. He said an adult male constrictor can grow to lengths of 6-8 feet long and weigh between 25-35 pounds, while the females can grow to 12-13 feet and weigh over 60 pounds. These formidable predators stalk the forest floor or trees in search of food which mainly consists of birds and mammals and occasionally lizards such as iguanas, while maintaining excellent camouflage among leaves, leaf litter and branches. Rattansingh said these snakes are constrictors, meaning that they constrict (wrap around tightly) on their prey to immobilize it. However Rattansingh assured citizens that macajuel snakes are non-venomous and are harmless to humans; however, if they may bite if threatened or provoked. These snakes are also protected by law.